All of a sudden I felt really convicted, because here I have one of my thirteen year old girls writing about how she’s praying for her future husband and it made me realize that half of the time I forget that I’m supposed to be praying for my own future husband as well. So then came my question: how exactly DO I pray for my future husband? This man that I have never met or have already met but have no clue that he’s “the one”. When my friends ask me to pray for them I know exactly what to pray for, what they are struggling with… but how do I pray for someone when I don’t even really know what is going on in his life at this time? I decided that it was time to do what I had to do in order to get answers: talk to God about it, find a good book on that topic, or the typical one… just google it. 😉 So of course, I did all three. After praying about it I decided that what I needed to do was come up with… “the list”. I know if you’re a guy… those two words just made you very happy. 😉 This list though is a little different than the one girls typically create. It has nothing to do with his physical appearance, what his resume looks like, or how exciting his life is at the moment (although those things matter too) but it was more along the lines of what kind of qualities does this man need to have to be a good future husband, father and leader of the home based on God’s Word and what does he need to do to get those qualities if he doesn’t have them already. Then I have to pray for God to work on those things in his life every day. Of course, it’s not fair to create “the list” for my future husband and have no list for myself. I’m far from perfect (and lucky me) I actually know the things I need to work on daily. I created my own list of qualities that a wife, mother, and “helper” should have and what I need to do to “get there”… and asked God to help me work on those areas in my life too. As for the book… there are quite a few books out there written for wives who want to pray for their husbands, but not too many written for singles praying for their future husbands. 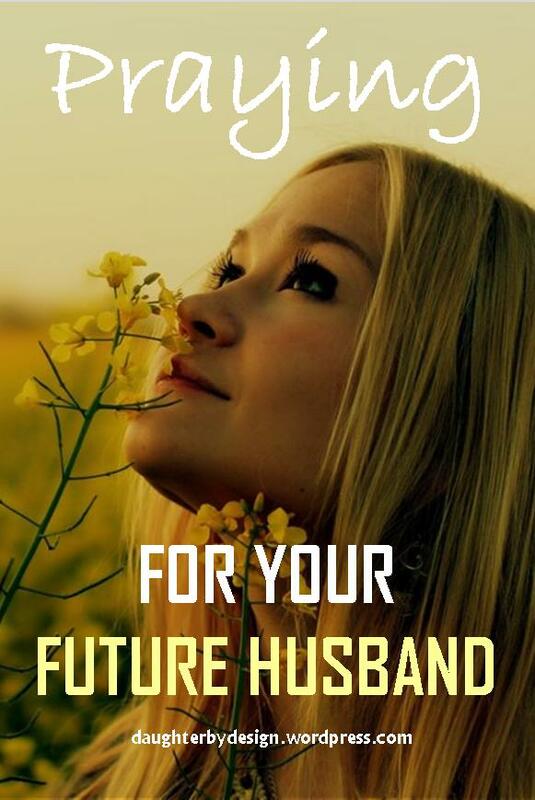 But, I did find a book that is specifically written for this exact topic, “Praying for Your Future Husband” by Robin Jones Gunn and Tricia Goyer. The interesting thing about this book is that it’s written for young teen girls who want to pray for their husbands. Not older girls who are already out of college, ready to get a real job as well as get on with life and settle down with their future spouse… but young girls: twelve, thirteen, fourteen years old whose dreams of walking down the aisle toward their Mr. Right won’t be happening in a long time. And it made me wonder… what’s the point of praying for your future husband at such a young age before you even meet him? Why can’t you just start praying for him after you have already met him and are planning your wedding? Before we answer that question we should take a good look at what men are in our world. Men are called to be our spiritual and earthly leaders. They are the backbone of the family, the nation, the body of Christ because God has a special calling upon each one of them and that is to lead the way with their God-given authority. It is men who take leading roles in determining how our nation should be run, how our children should be raised, what our churches should be grounded on. And Satan knows this very well, which is why from a very early age he bombards young boys with things that will stunt their growth in becoming the godly men and role models God created them to be. His plan is to take down these men before they can even rise to be who they are called to be because by making sure these men never rise to be truly God-fearing leaders that they need to be our families, churches, society will be weak along with their leaders. This isn’t in any way to undermine the role of women in the world, in the church, and in the family. Women also play a significant role in all of these areas. And they also play a significant role in encouraging or discouraging the men in their lives in becoming the godly leaders they are called to be. Satan has his own attacks and schemes against women as well, but he knows that the best way to get to women is to first get to the men in their lives because it is the men in our lives that are our leaders and authority figures. 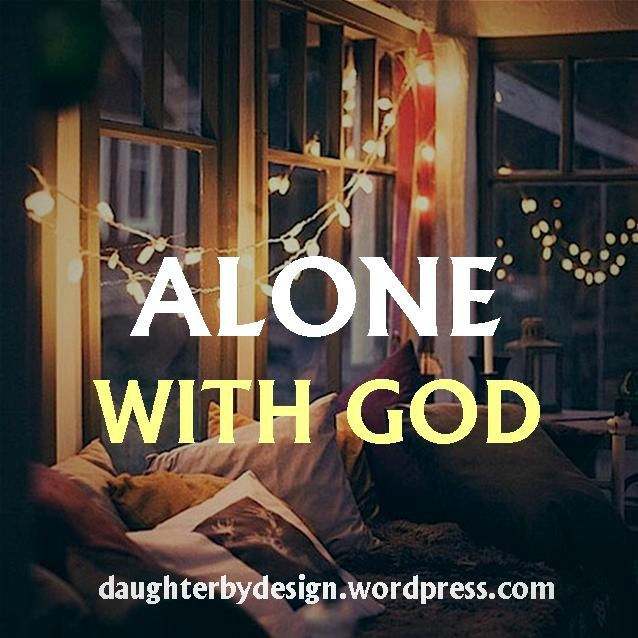 Currently there seems to be a global problem for our present generation of Christian women and it is the unbalanced ratio between God-honoring woman and the males in their lives who aren’t as quick to become the men God called them to be. 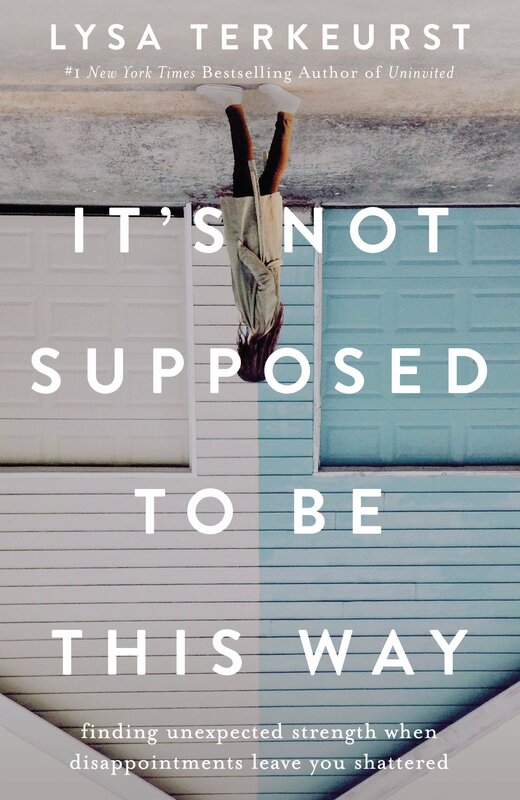 This leaves many young Christian women asking the question: what are we supposed to do? Sit back and worry about when these men will magically have an epiphany which will make them realize they need to step it up a little? Eat ice-cream while watching chick flicks and waiting for an un-realistic version of Prince Charming to appear in our lives? No. There is something we can do for our future (and present) husbands today and that is to enter into the war zone and fight for them in the one way that we can: pray for them. We can’t step into their shoes and make the right decisions for them but we can pray for them every day as they battle against all of Satan’s attacks and schemes to bring them down and prevent them from growing. And the sooner you start praying, the better it is. Which is why it’s good (and important) for girls to pray for their husbands long before they meet them. By praying for them at an early age they are joining in the battle for their future husbands to develop into the godly men they should be and this will be a blessing to them and their family later on down the road. Whether you’re single or married it’s important to remember the power and importance of praying for the men in our lives. It’s never too early or too late to start and by doing so we will play a vital role in helping them become the leaders for that God wants them to be. Thank you Anna for such an awesome article. I am about to turn 45 years old and I am just learning how to really pray for my future husband (whoever he is). My prayers have been more selfish in terms of a spouse but from the 31 Day Prayer for your husband, I know how to pray now. Thank you so much. Guess I’m a little late. Thank you so much for this encouraging article. I am not a young lady, however such a reminder for a fifty year old widow whom desires to please the Lord and also a the desire to have a Godly mate again. It is time to to spend some time fasting, praying for my future mate, and to seek the areas in my life that need sharpened. What a blessing your post has been. A true GMC (God Made Coincedence) today! Many Blessings to you. I love GMC’s 🙂 God knows exactly what message we need to hear every day and He always find a way to get it to us. I’m glad He spoke to you through this post. May He answer the desires of your heart and bless you with a relationship that glorifies Him for many years to come. God bless you! Thanqq soo much..even am also struggling how to pray about my future husband but ur article make a clear path to me by the gods grace..let i will start praying nd fasting . Prayers like this never end. My husband and I have been married 52 years…through some very rocky times, but GOD….Today we love each other more than we ever have and have found a place in Him together that is a total answer to many prayers. God Bless you Anna. You wrote a great story too,then God blessed them, and for people with bachelor. Hey, if you pray , pray by heart and just do it once, when you always repeat your prayers it means you are doubting! Amazing post. Incredibly inspirational. It has motivated me to not only fast and pray for my future husband bur also to rally other women to stand together, in unity with one another, to all do this together starting March 1. One thing I am curious of…what has the fasting part looked like for you? I guess it would look differently for each woman involved but I’m curious what your personal experience may have looked like…as I prepare for this adventure and challenge. Hi Lindsey! I love what you and the ladies are planning on doing! Personally when I fast I do it from food and I replace my breakfast, lunch, and dinner time with praying for specific areas in my husband’s life (as listed above). And of course, I also pray for God to show me areas in my life that I need to work on to help myself become more like Him as well as be prepared for the future He has in store for me. And I love to journal my prayers as well and write down anything that God speaks to my heart during that time. Fasting definitely looks different for every person but that’s my personal experience with it. Many blessings to you and your friends as you pray and fast for your husbands and your future together! hey anna. thanks for this! pls wha do you mean by ‘the list’? Will do Zandi. May God bless you and give you faith and patience during this time in your life. Be blessed! Where are you based? Just noticed that you had posted last year however I was thinking seeing that you have a South African name and I am also based in Joburg we could maybe pray together sometime? Hi Thandi, I live in the US (Washington state) 🙂 and I am actually Ukrainian! But we can always pray for one another no matter how far apart we are! Thanks. That’s great! I am sure he’ll appreciate it if you do. 😉 Be blessed! Reblogged this on SPIRIT-FILLED REFLECTIONS. This was inspiring Anna. I have four daughters and some of the things you’ve shared, my wife and I have also shared with them. Keep up the good work and continue to walk by faith. That’s great! I hope it will be as helpful for them as it was for me in knowing what to pray for in a husband. 🙂 Be blessed! Annna, this is wonderful. I will print this and post on the fridge door!!! Haha… I will take as many extra n’s as I can get 😉 Maybe I should print this and post it on my fridge door too. Thanks for the idea! Anna, you stopped by my blog and I stopped by yours and I am so glad that I did. I read your post on no more comfortable Christianity and then I read this one. Both are on point and seasoned for such a time as this. 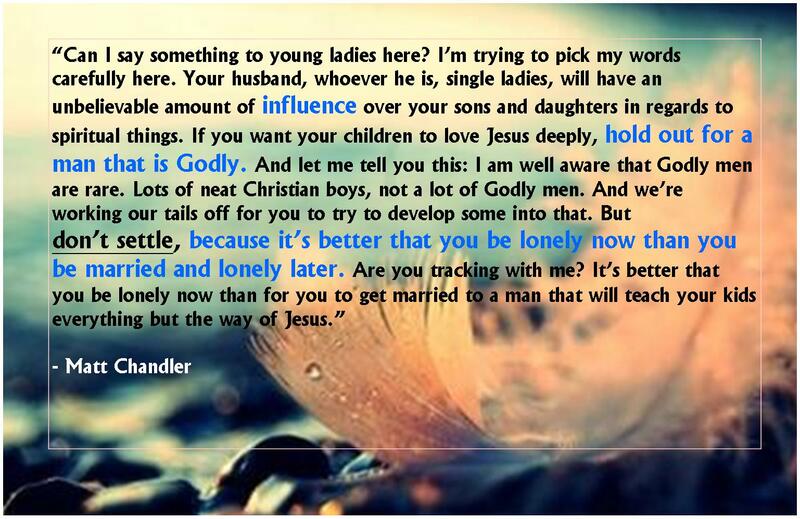 I am a single, mature, Christian lady who finds herself asking all the time, where are the Godly men. Why are so few men in the church, 90% women and 10% or less men. God said it was not good that man be alone and so he made woman to be man’s helpmeet, i.e., companion. Your 30-day praying for your husband list truly opened my eyes. It is grounded upon scripture and well thought out. I like it, will use it, and if you don’t mind, share it with the other sisters who continuously ask on a daily basis, where is my Adam. Maybe, we too are praying the wrong way. Thank you for this thoughtfully put together list. Continue to be a blessing and I will follow. I’m glad the list was helpful Pangeline. I didn’t write it myself (but included the link before it). 🙂 I’m so glad I found it as well because it helped me realize the specific things that would be wise to pray about my future husband. May God bless you and the rest of our sisters in Christ as we pray for those husband’s of ours. 😉 Be blessed! This article is nothing short of AMAZING! I am so thankful God lead me to this page. My spirit is filled with this message of hope and encouragement today. Thanks for posting. Thank you Bailey! Glad that it encouraged you 🙂 Be blessed!! What an awesome thing to do. I pray my sons meet someone like you. 🙂 Thanks for inspiring others to pray for the young men in this world. Blessings to you. Thanks Mel. Men (and women) can always use a little extra prayer can’t we? 🙂 Be blessed! All of you women are going to be provided a Godly husband, if that is truly your hearts desire… It’s just a matter of timing. God is good and faithful! God truly is faithful! And although no one is really promised a spouse (in God’s Word) I do believe that if God puts that desire in your heart it will come to pass when the timing is right. 🙂 Thanks for the encouragement! Great post Anna! I’ve enjoyed reading some of your posts. 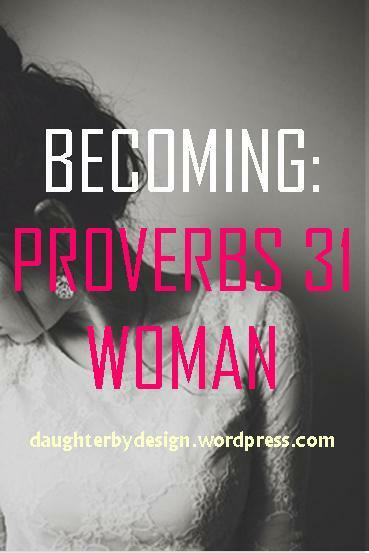 I love your “31 Days of Praying For Your Husband.” It’s also a good reminder for us married women to continue praying for our husbands. 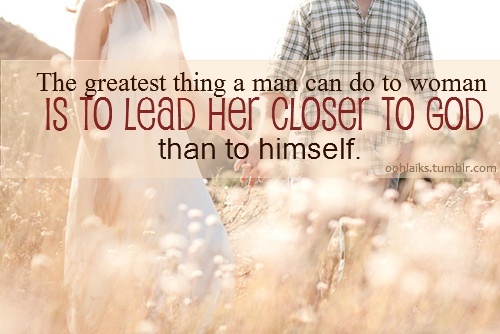 God brought my husband into my life in His perfect timing. I was 26 at the time. I’m thankful that I waited for His timing and plan. . . . And thanks for visiting my blog. Blessings to you. It’s always good to pray for your husband, whether he’s in your life yet or not. 🙂 And it’s definitely best to wait for God’s perfect timing to bring that special someone into your life then to try to “find” them on your own when you want to. Thanks for sharing your thoughts. It’s encouraging to hear from people who have prayed and who have waited and their “time” finally comes. 😉 Blessings to you as well! Thanks Anna, This is a lovely post and I agree with you. 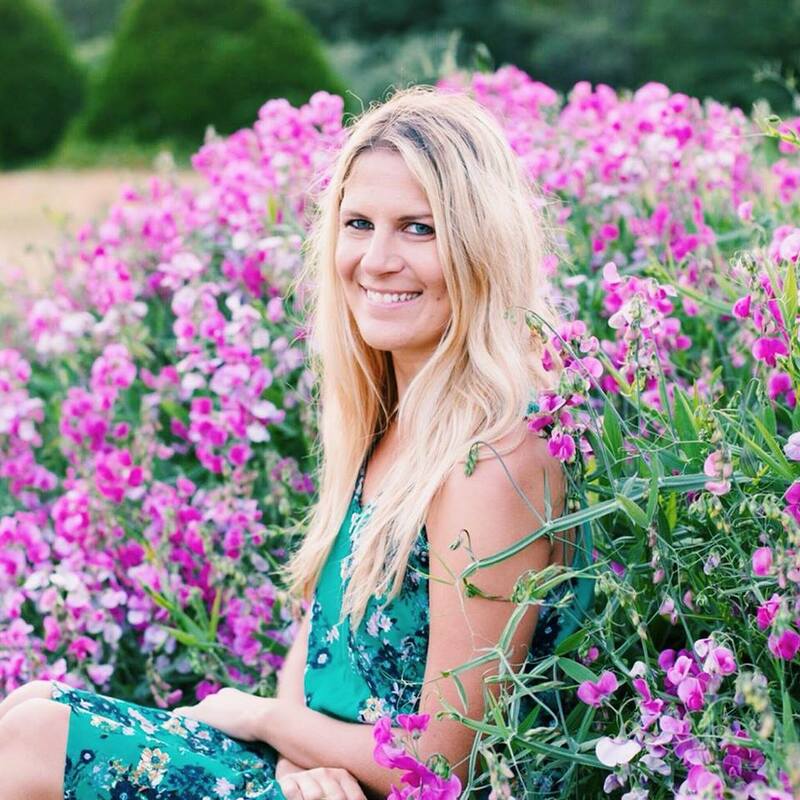 I’ve been praying for my future husband for a long time too, but now I’m 27 (by no means too old) but I have often wondered, ‘what if I’m wasting my time praying for a man who doesn’t exist? what if I’m caught up in the fairy tale and need too just get back to reality.’ what are your thoughts? Oh I have totally thought the same exact thing before! It seems like a waste of time to pray for someone who may or may not exist. But from the way I see things, for the most part people do end up getting married (although the percentage for that has been declining over the years) and God did originally create us for that purpose. Unless you have a calling for singleness in your life (which I’m sure you would know) then odds are that you will eventually get married, as everyone else does. Of course, that is not the case for all people. Just because you have the desire to find someone to share your life with doesn’t mean that is guaranteed to happen. (There are people over 50 still waiting for “the one”) but when it comes to praying for your future husband before you have even meet him, I think praying never hurts, even if in the end we still end up single. Often times we pray for certain things (not as big or important as this maybe) and God doesn’t answer in the way we expect Him to but those prayers were still beneficial for our faith. And unless you spend an hour on your knees praying for your husband I don’t think a few minutes a day (if that) is a waste of time when it comes to praying. And I don’t think wanting to find that special someone is being caught up in a fairy tale by any means (unless you expect him to show up at your house on a white horse) 😉 It’s a very real and normal desire to have. It’s more normal to want someone to spend the rest of your life with and build a family with than to want to spend your life alone as a single. Sorry for such a long reply, I honestly don’t know the “real” answer to this question myself. Maybe some people think praying for your future husband is a waste of time but I don’t. Hope it helped you instead of confused you (I’m sure it has the potential to do both). 😉 Have a blessed day! Thank you for stopping by to visit i know I can dance.. You are so wise to pray and even thank God a head of time for preparing the heart of that special man of God.. Thanks so much for checking my blog post. I’m glad you liked it. I have a question. Based on what you say it doesn’t seem men can be good unless they are Godly.But are there not good men who teach their children about respect for others, for others property and about caring for others in what you might call a Christian way but who don’t believe in God? How about Buddhists, are they not good in their belief in the sanctity of life? I would have thought it important to add the extra ‘o’ in your search and look for a goodly man rather than a Godly man. Wow! This is so encouraging and challenging at the same time. WOW! This is just what I needed to read. I’m so excited to start this 30 Day Prayer session! What a great reminder that our prayers shouldn’t contain “Lord, send him now and make sure He is good looking!” but “Lord, I pray for my future husband and that his heart is running after Yours…” Thanks for this!!!! That’s great Sarah! It’s so awesome to start praying and interceding for your husband before you even meet him. You are blessing him without him even knowing it 😉 And I’m sure once it becomes a habit while you’re single it’ll be much easier to continue praying for him once you’re married! Be blessed! True! I truly believe in praying and blessing your future husband before you met! I am actually on the 21st day now and can feel God’s presence around me every time I start the daily prayers. Thank you again for this great article! This is an awesome article. I am def working on being more consistent on praying for my husband while actively cultivating various qualities God wants to see more of in my life. This is SO great. I tend to be on again, off again when it comes to purposeful prayer for my husband. I think I’ll go through the 31 day list this summer. That’s a great idea Jessica! I’ve been slacking on praying for my future husband lately, so it’s a good reminder for me as well. 🙂 Be blessed! Hi thanks for visiting my blog and liking it. Your article is very good. I’ll be checking in on your blog again. Stay strong Anna. I love your blog. And I especially like the prayer on day 18. I love your post and I loved your message, and 35 years when I turned to the lord one thing I asked him to do is to find me a wife, and i would wait on his choice, you see I knew the Lord had my best interests at heart! I told him I would place it in his hands and not ask for anything else. I was lead to join the Air Force in November 76, but could not leave because they would not have an opening for me until March 77, i was frustrated because the other thing I told Him I would go where he sent me. Now unknown to my self my future wife had finished high school early and wanted to go into the Air Force at the same time, she is from the St Louis area. They told her she had to wait six months also. So we both came to basic training on the same bus from the airport and never me, went through basic and we were probably less than 100 yards apart on any given day. When basic was over we boarded the same bus for tech school! Off to Biloxi Ms, I still never noticed her and probably would not have never, because I was waiting on God! A young lady tried to get me to date her several times but I always said know. One day she told me she had someone who wanted to meet me and she told the same thing to my wife. We met and been together for the last 35 years, love at first sight and we met at the end of April and married June 24 of the same year. God is good. So I left this message for you as a blessing letting you know that God does choose well! Thanks for visiting my blog and I will follow yours and i am blessed to have met you dear sister! God bless and have a wonderful easter! Wow, that is such a beautiful love story and such an encouraging reminder for me to not only trust in God’s timing but also know without a doubt that He will choose the man that is best for me (when the time comes). God sure does work in mysterious ways, and often times not in the way we expect. It’s so wonderful when you see why things work out as they do (in the end) but in the meantime when the future is still uncertain I can continue trusting Him and having patience for waiting for my Mr. Right. 😉 Thank you so much for sharing this. May God bless you! His blessings always appear, for he blessed me with you a new sister and friend! Have a wonderful and beautiful week ahead full of new blessings! but a girl that understands what her role is, that is rare and it is a blessing. As a guy your post just reminded me of my role as a man. I need to be more of the man God has called me to be. And thanks for liking my post, Singleness bad, Marriage good?